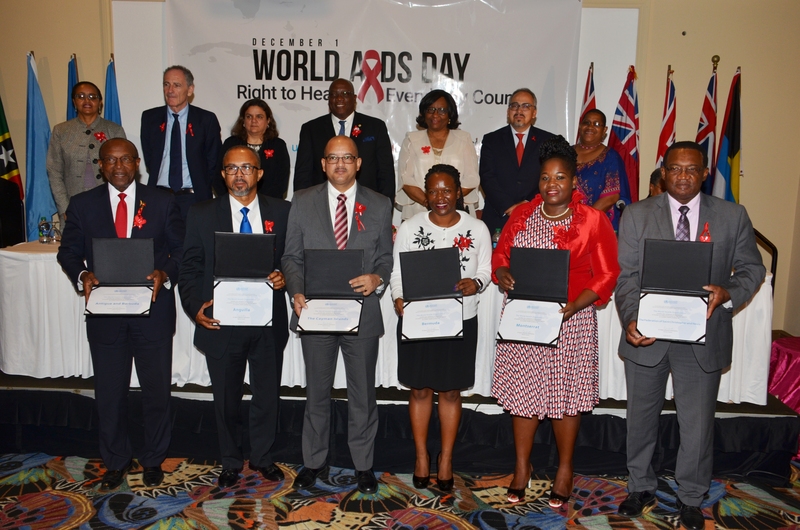 Saint Kitts and Nevis/ Geneva, December 1, 2017 – Anguilla, Antigua and Barbuda, Bermuda, Cayman Islands, Montserrat and Saint Kitts and Nevis were today certified by the World Health Organization (WHO) as having eliminated mother-to-child transmission of HIV and syphilis. Carissa F. Etienne, Director of the Pan American Health Organization (PAHO) and Regional Director for the Americas of WHO, said “This elimination is a remarkable achievement that puts the Americas at the forefront of the global effort to ensure that no child is born with HIV or congenital syphilis”. “With political commitment, stronger health systems, and timely prevention, diagnosis and treatment, we can achieve great changes,” she added. 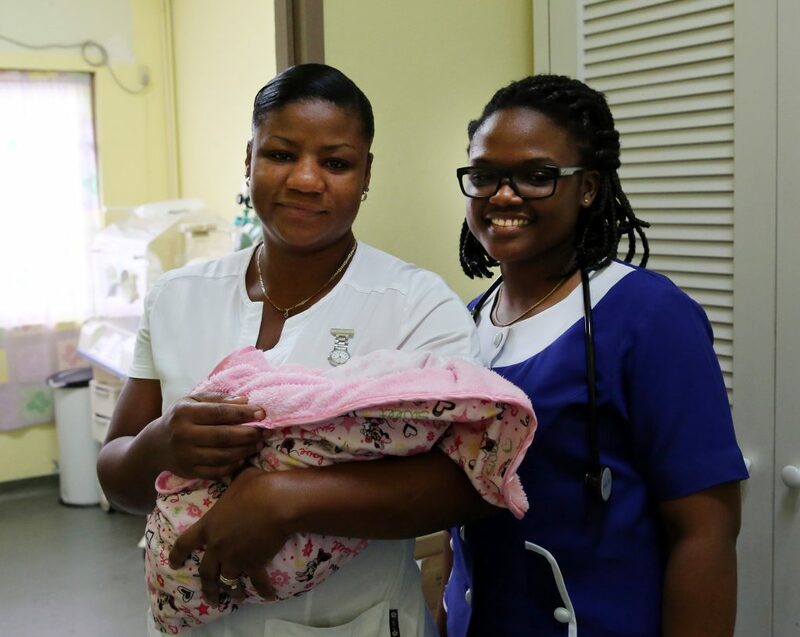 In 2015, Cuba, another Caribbean island, became the first country in the world to receive validation from WHO for having achieved elimination of mother-to-child transmission of HIV and syphilis. Subsequently, Thailand and Belarus were also validated as having achieved dual elimination, while Armenia received validation of its elimination of mother-to-child transmission of HIV and the Republic of Moldova was validated for the elimination of congenital syphilis. Since the launch in 2010 of the Regional Initiative for the Elimination of Mother-to-Child Transmission of HIV and Congenital Syphilis in Latin America and the Caribbean—coordinated by PAHO and the United Nations Children’s Fund (UNICEF), with support from other regional partners—new HIV infections have been reduced in the Caribbean by more than 52% among children, from 1800 in 2010 to fewer than a thousand in 2016. Reported cases of congenital syphilis, meanwhile, remain below the goal of having no more than 50 cases per 100,000 live births, although they have not declined since 2010, and it is likely there is underreporting of cases. “The elimination of mother-to-child transmission of HIV and syphilis is not just a dream; it’s an achievable goal,” said Maria Cristina Perceval, UNICEF Regional Director for Latin America and the Caribbean. “Today we can say we are closer to ensuring an AIDS-free generation”. In the Caribbean as of 2016, 74% of pregnant women living with HIV, 64% more than in 2010, had access to antiretroviral therapy to protect their health and significantly reduce the possibility of transmitting the virus to their children during pregnancy, delivery or breastfeeding. The increased access to treatment contributed to a 52% reduction in the rate of mother-to-child transmission of HIV between 2010 and 2016, which is now at 9%, still higher than the target of 2%. Other changes in the health sector that have contributed to this progress include intensive participation by both the public and private health sectors, led by the ministries of health, in the implementation of comprehensive maternal and child health services, with an emphasis on universal coverage and quality antenatal and prenatal care. They also include expanded testing to ensure early detection and immediate treatment for both HIV and syphilis, laboratory networks of guaranteed quality in accordance with international standards and the implementation of essential measures to guarantee the human rights of women living with HIV. “The validation for the elimination of mother-to-child transmission of HIV and syphilis sends a strong message that the Caribbean is making remarkable inroads to achieving the goal of an AIDS-free generation and the achievement directly aligns with achieving our vision and objectives,” said Dereck Springer, Director of the Pan Caribbean Partnership against HIV and AIDS. “The spread of the disease from mothers to children is being halted, but elimination status must be maintained and other Caribbean countries must strengthen their services with the goal of receiving validation from WHO,” he added. The elimination of mother-to-child transmission of HIV and syphilis is an important milestone for ending AIDS and sexually transmitted infections as public health threats by 2030, commitments endorsed by the United Nations General Assembly and by the World Health Assembly. Other PAHO Member States in the Caribbean are participating in the formal validation process, and it is expected that more will be recognized for their achievements in 2018. This week, PAHO and UNAIDS launched their first joint report on HIV prevention in the Americas, entitled HIV Prevention in the Spotlight: A Health Sector Analysis in Latin America and the Caribbean. The report shows that the number of new HIV infections among adults remained stable in Latin America and the Caribbean between 2010 and 2016, at about 120,000 new HIV infections annually. The report urges countries to step up the implementation of a comprehensive package of interventions to prevent new HIV infections for key populations, so as to end the AIDS epidemic as a public health threat by 2030. Among the report’s specific recommendations is expanded access to HIV self-testing and diagnosis of other sexually transmitted infections, the provision of pre- and post-exposure prophylaxis as recommended by WHO, treatment for all people living with HIV, and eliminating discrimination. • 310 000 [280 000–350 000] people living with HIV. • 64% [51–74%] of people living with HIV know their status. • 81% [64– >85%] of people diagnosed with HIV on antiretroviral therapy. • 67% [53–77%] of people on antiretroviral therapy have a suppressed viral load. • 18 000 [15 000–22 000] new HIV infections. • 9400 [7300–12 000] AIDS-related deaths. • 1.25 million live births in 2014 in 31 Caribbean countries. • 10 000 [8700–12 000] children up to 14 years of age living with HIV, 29% less than in 2010. • <1000 [<1000–1000] new HIV infections among children up to 14 years old in 2016, more than 52% less than in 2010. • 11 000 [9000–13 000] new HIV infections prevented among children up to 14 years old from 2010 to 2016. • 97% of women attend at least one antenatal check-up, and 94% of deliveries took place in hospitals in 2016. • 78% of pregnant women were tested for HIV in 2016, 35% more than in 2010. • 74% [65–84%] of pregnant women living with HIV are on antiretroviral therapy, a 64% increase since 2010. • 9% rate of mother-to-child transmission of HIV, 52% less than in 2010. • 96% coverage of testing for syphilis among pregnant women who had at least one prenatal visit, stable since 2010. • 80% of pregnant women diagnosed with syphilis received adequate treatment, stable since 2010. • 1 case of congenital syphilis every 10 000 live births in 2016 according to data from 21 countries, stable since 2010. * Source: Global Monitoring of AIDS 2017, UNAIDS and data directly reported by countries to PAHO. The validation process begins with a request from a country to PAHO for the validation of the elimination of mother-to-child transmission of HIV and syphilis. Then, an independent Regional Validation Committee is formed to carry forward the process, using the global validation standards recommended by WHO. In the case of these Caribbean states and territories, the members of the regional committee were experts from 10 countries of the Americas, who reviewed the reports of each state and carried out virtual and in situ evaluations in four key areas: health programmes and services, data and information systems, laboratory quality and human rights, gender equality and community participation. On the recommendation of the regional committee, the Global Validation Advisory Committee conducted a second review and recommended to the Director-General of WHO the validation of Anguilla, Antigua and Barbuda, Bermuda, Cayman Islands, Montserrat and Saint Kitts and Nevis for the achievement of the elimination of mother-to-child transmission of HIV and syphilis as a public health threat. The Pan American Health Organization (PAHO) works with the countries of the Americas to improve the health and quality of life of their peoples. Founded in 1902, it is the oldest international public health organization in the world. It acts as the regional office for the Americas of the WHO and is the specialized health agency of the inter-American system. • 2% or below rate of mother-to-child transmission of HIV. • 95% or more of all pregnant women should receive at least one antenatal care visit. • 95% or more of pregnant women living with HIV tested for the virus. • 95% or more of pregnant women attending prenatal care screened for syphilis. • 95% or more of pregnant women diagnosed with HIV or syphilis receive adequate treatment. The term validation is used to attest that a country has successfully achieved the indicators (regional and global targets established for validation) to eliminate mother-to-child transmission of HIV and syphilis at a specific point in time and demonstrate a health system strong enough to maintain the gains.